Waiting a long time to see The Imaginarium of Doctor Parnassus in order to savor watching Heath Ledger perform for the last time, left me feeling sad and empty even though I adored the film. I was waiting for the moment when Heath’s screen time would end and how exactly would the incorporation of Johnny Depp, Jude Law, and Colin Farrell come into play. 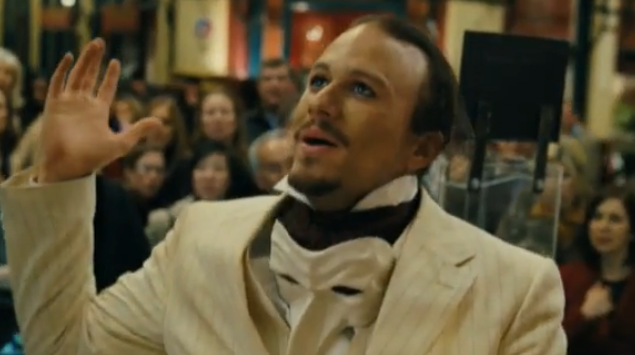 I realized how early on, when a drunk kid comes stumbling out of a nightclub, and happens upon Doctor Parnassus’ (Christopher Plumber) dilapidated sideshow performing on the street. 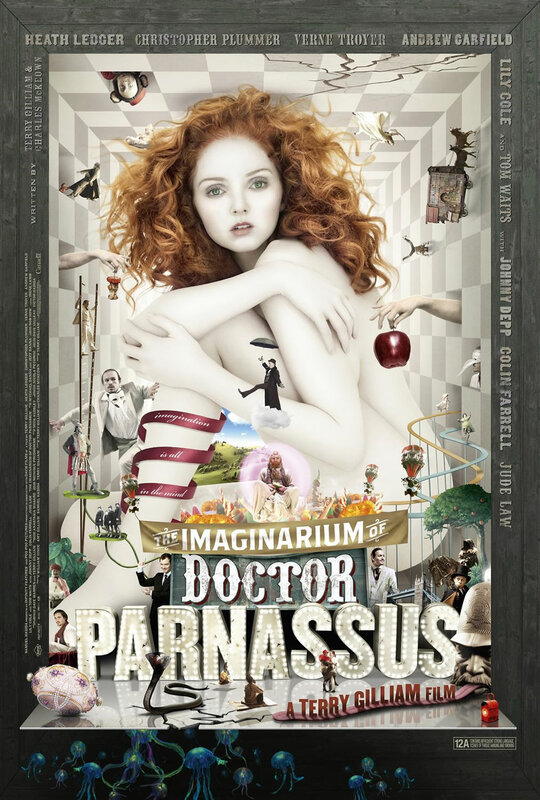 Trying to skirt-chase Parnassus’ daughter Valentina (Lily Cole), (she attempts to hide from him and his obnoxious advances), he follows her and falls through the imagination mirror on stage. Falling face down in mud he no longer looks himself, but a different lad entirely. In fact he is no longer on the streets of modern London. This world is an imagination you see, so anything is possible. That holds true for most of the film. Imaginarium is not neat nor is it sane. The story plays out slowly and you need to pay attention to what is going on. 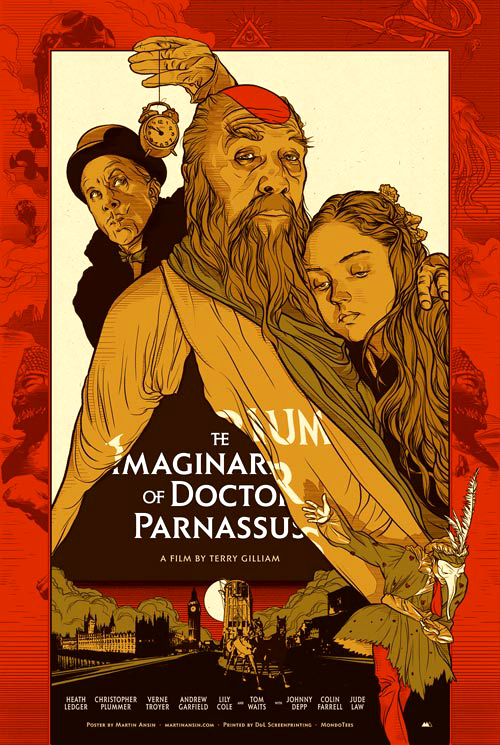 The Imaginarium has a hint and flavor of Time Bandits, which is also directed by Terry Gilliam, so if you’ve seen that film, you know what you’re in for. Crazy characters, elaborate set design and special effects, little people, evil people and damsels in distress. You get the picture. Heath Ledger’s performance as Tony was fantastic and one could only imagine how much better the movie could have been had he been able to finish it and lend it more continuity. Tony joins the misfortunate troupe after they rescue him from under a bridge and soon enough he brings new life to their “show” by modernizing their outdated travesty of an attraction and wooing wealthy women in search of bliss. Besides making ends meet, Parnassus made a pact long ago and needs five souls to give to the Devil or else his precious daughter Valentina will be lost to Hell’s master. So into the imagination mirror the souls go. 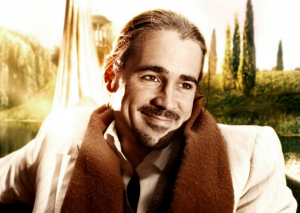 Out of the other Tony’s which are played by Law, Depp and Farrell, it was Colin Farrell that stole the show. Witty and devious, he exhibited yet another side to his acting capacity rarely seen. 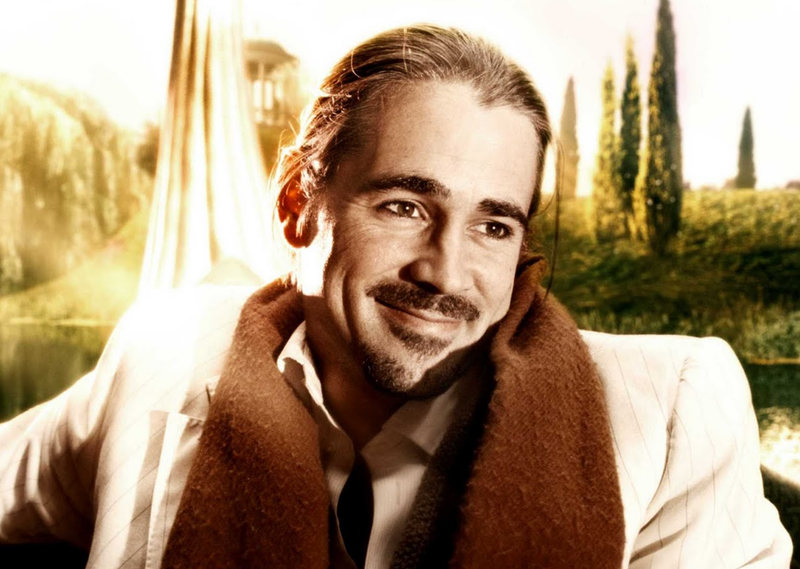 He out Depped Johnny Depp’s kookiness and exuberance. Lily Cole was angelic and spot on in her performance as Parnassus’ barely sixteen-year-old daughter, while Andrew Garfield, who plays Anton, lent an air of whimsy and boyish charm in his I-can’t-seem-to-get-the-girl role. Last of the troupe is Percy (Vern Troyer) who adds just the right amount of humor to remind you not to take the film seriously. If you put your acid trip cap on and enjoy the ride you will enjoy the movie for what it is…a fantastical imaginary journey of redemption. Heath Ledger you brought such energy to all the roles you have played and you shall be dearly missed.